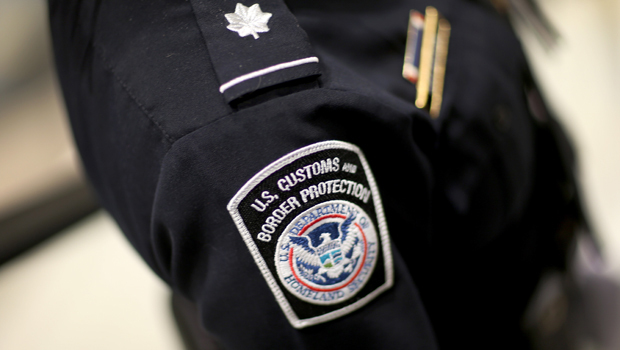 A U.S. Customs and Border Protection officer was arrested and accused of receiving sexual favors and “large sums of cash” in exchange for letting smugglers bring people into the country illegally at the U.S.-Mexico border in San Diego. The FBI announced the arrest of Officer Jose Luis Cota, 50, in a statement released Thursday. Cota allegedly allowed Miriam Juarez-Herrera and Gilberto Aguilar-Martinez, both 31, to smuggle people through his lane at the San Ysidro Port of Entry in San Diego four times since November. The most recent incident occurred this Wednesday, the FBI said. Records showed that “large sums of cash” were deposited into Cota’s bank accounts after each time, the bureau said. Juarez-Herrera allegedly told FBI agents that she provided sexual favors to Cota in addition to the cash in exchange for being able to smuggle people through his lane. Aguilar-Martinez, Cota and Juarez-Herrera were arrested without incident Wednesday in San Diego. They appeared before U.S. Magistrate Barbara Major on Thursday. A detention hearing was scheduled for Wednesday.